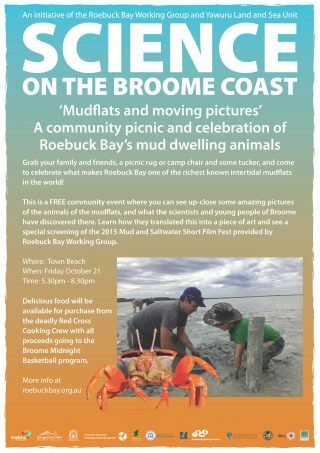 Grab your family, a picnic rug or camp chair and celebrate what makes Roebuck Bay the richest known intertidal mudflat in the world! 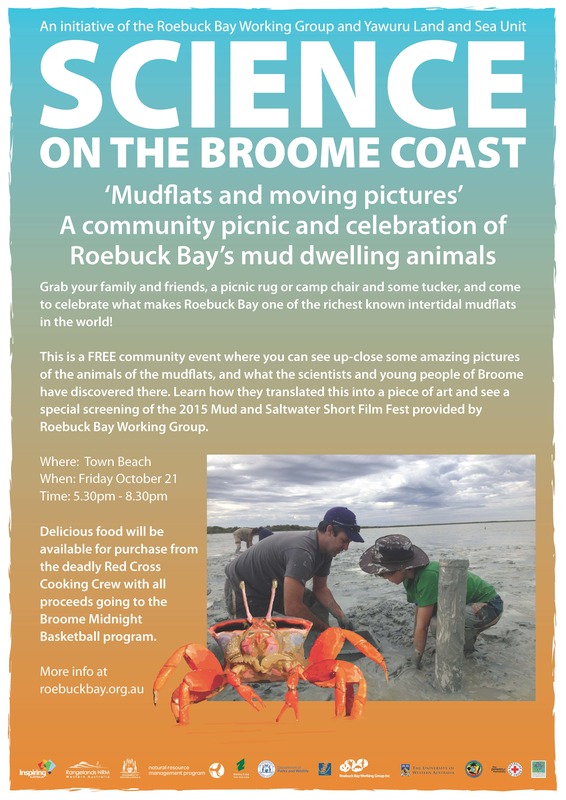 At this FREE community event see up-close amazing pictures of the animals of the mudflats, what the scientists and young people of Broome have discovered in the mud, and how they translated this into art. 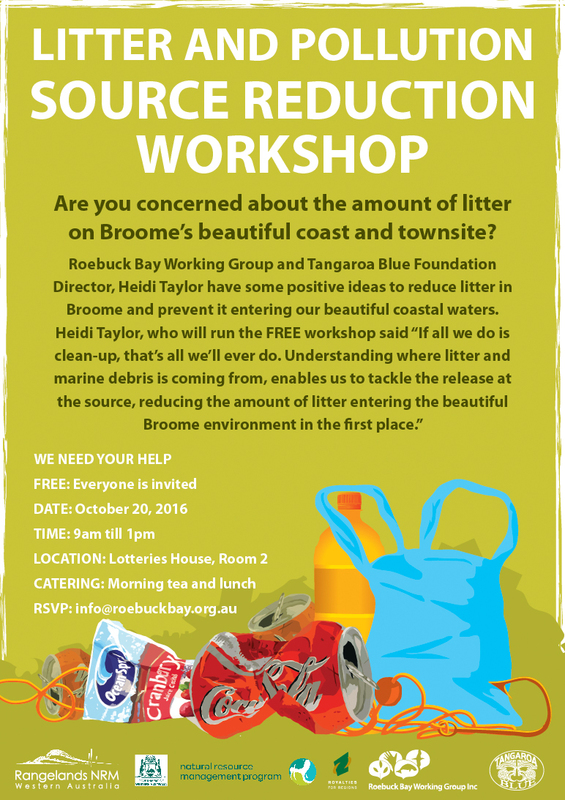 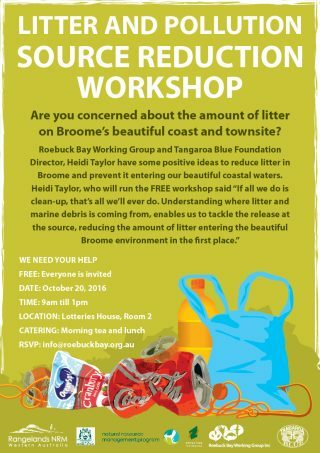 This will be followed by a free re-screening of the Mud and Saltwater Short Film Fest provided by Roebuck Bay Working Group.